We are all accustomed to seeing clearly, even if we use spectacles (glasses) or contact lenses. This clarity of vision is known as visual acuity. It does not stay constant throughout life. Visual acuity can change with age and may need to be corrected. Most of us notice it as the inability to see objects clearly and we often refer to this as blurred vision. This change is usually gradual and depending on the cause, it may get progressively worse. Vision, or eyesight, is made possible with the eyes which has light sensitive tissue within it. This tissue is known as the retina and lines the inside of the eyeballs. One spot on the retina known as the macula is responsible for clarity of vision. In other words, what we see is due to incoming light being focused on the macula. The light has to be bent (refracted) in order to be focused on the macula and this being is made possible by the cornea and lens of the eyeball. Blurring of vision usually occurs when the light is not bent properly to focus on the macula. This should be differentiated from cloudy vision and dim vision. Cloudy vision occurs when the incoming light into the eyeball is obstructed like with clouding of the lens in a cataract. Dim vision may occur for the same reason but may also be due to the macula not being stimulated sufficiently by the incoming light. There are many different types and causes of distorted vision. Blurred vision is just one type. It is also one of the most common vision problems that can occur from early childhood to late adulthood. One of the main reasons for blurring vision is known as refractive eye disorders, with myopia (nearsightedness) being the most common type. These problems tend to affect both eyes but sometimes only one eye is affected. A host of other conditions can also cause blurring of the vision. Some of conditions are serious and can even result in blindness if left untreated. The conditions below may cause blurred vision in one or both eyes. However, blurred vision can also be a symptom of several other conditions even though the eyeball itself is not affected, such as migraines or hypoglycemia (low blood glucose levels). Myopia (nearsightedness) is where the light does not bend properly in a way that affects the ability to see distant objects. This is usually due to a problem with the lens. 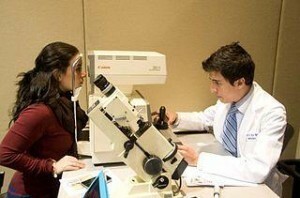 Myopia can occur at any time in life but tends to occur in early life. Normally tiny muscles contract and relax to change the shape of the lens. This bends the light so that it can focused on the macula for visual acuity. However, in myopia the light cannot be focused sharply on the macula. An often overlooked cause of blurred vision is eyestrain. It has become common these days with prolonged use of screens – computer screens, TV screens and mobile phone screens. However, even prolonged reading or overuse of the eyes in poor lighting can also cause eyestrain even without a screen. 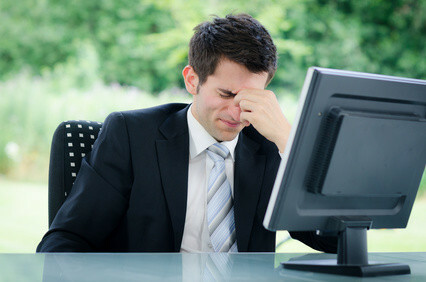 The effects of eyestrain are usually short-lived but repetitive eyestrain can contribute to conditions like myopia (nearsightedness). Read more on how to avoid eyestrain. Presbyopia is an age-related problem where there is a problem with bending of the light in the eyeball. Like myopia (nearsightedness), presbyopia is a refractive disorder of the eye. This eyesight problem is due to an inability of the lens to change shape as a result of age-related changes. Visual acuity is affected gradually. It becomes noticeable in the 40s and worsens by the 60s. Dry eyes is another common problem and it can affect vision, even leading to blurred vision. There are many reasons for eye dryness. Several diseases can affect tear production but environmental factors are often responsible for acute eye dryness. It often occurs in windy conditions and in air conditioned rooms. Eyestrain is another common reason for dry eyes although eyestrain can also cause excessive watery eyes. A cataract is where the lens in the eyeball becomes cloudy. It can affect one eye or both eyes. Cataracts are more common in older people as age-related changes to the lens reduces its transparency. Typically cataracts cause clouding of the vision but blurring and dimming is also present. Apart from age, there are several other risk factors like diabetes, high blood pressure, tobacco smoking, prolonged exposure to bright light and various eye disorders. Inflammation of any part of the eye through which light travels to reach the retina can also cause blurred vision. This inflammation can arise with trauma (injury), infections, medication or various other non-infectious inflammatory diseases. Keratitis is inflammation of the cornea, the outer clear part of the eye which is also responsible for bending light. Uveitis is inflammation of the middle layer of the eye. 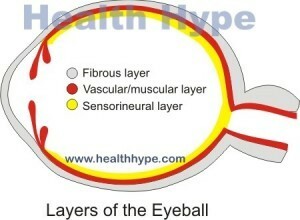 It is the layer that lies behind the retina which lines the inside of the eyeball. Iritis is inflammation of the iris of the eye. This is the colored ring around the center of the eye (pupil) through which light enters the eyeball. The iris is part of the uvea. Therefore iritis is a type of uveitis. Macular degeneration is a condition where the macula, the most sensitive part of the retina, deteriorates. The most common type is age-related macular degeneration (ARMD) and it is a leading cause of blindness among the elderly. Macular degeneration can cause a host of vision symptoms, including blurred vision, dim or dull vision, difficulty adapting to low light levels and reduced central vision. A stroke is one of the most serious causes of blurred vision as the condition can be fatal. It occurs when the blood flow to one part of the brain is interrupted. Symptoms include weakness or paralysis on one side of the body, from the face to the feet, confusion, dizziness, disturbances of senses like vision and possible loss of consciousness. Sometimes these effects can be temporary, which is also known as a transient ischemic attack (TIA). These are some of the other causes of blurred vision in one or both eyes, although these conditions are less common. Optic nerve problems (neuropthy) like neuritis. 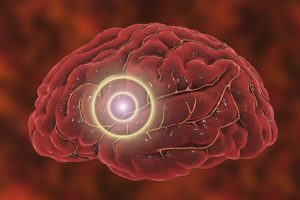 Tumor in the brain or pressing on the optic nerve.